Here are our latest news articles. You can also subscribe to our newsletter for news directly to your inbox. Hands up who wants U2 tickets for the Croke Park gig on the 22nd July 2017? Of course you do! Demand for tickets is incredible, none can be found, for love nor money! Well now there is a way …. ta-dah … The Fake Grass Man to the rescue! We have often rented out the many props we have accumulated over the years, as well as facilitating the hire of our artificial grass for corporate events, media production and other uses. We are now extending that service to all our customers. We are delighted to announce a new range of Playground Sign Grass that is just perfect for our artificial grass play areas. Ideal for Schools and Creches, we can incorporate them into artificial playground grass, along with our fake grass play tiles, shapes and colours. Sanctuary on the Dermot and Dave show (TodayFM) AGAIN! Welcome to Grassland! – The new home for Artificial Grass. 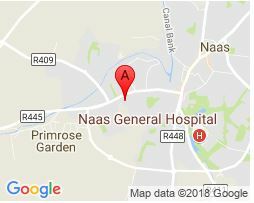 We have recently moved our offices and showrooms to our new complex (still in Naas). A one-stop shop for our customers and landscapers for anything artificial grass related. Where’s the last place you’d expect to find a bit of artificial grass?